Folks it is common knowledge that the Hasidic Chabad Lubavitch jews of Satan’s Sanhedrin, promoted and succeeded in the Coup in Ukraine. Keeping in mind the jewish Hasidim, Victoria Nuland’s Taped comment, Fxxx, the EU. It is advised that the Eukraineian people awaken. 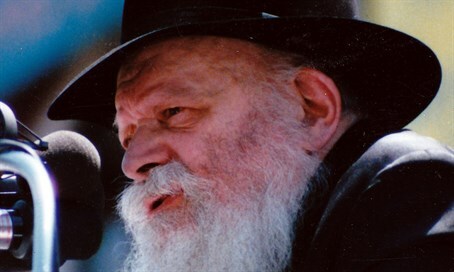 The city of Dnepropetrovsk in eastern Ukraine named a street after Menachem Mendel Schneerson, the last and most prominent Lubavitcher rebbe, who fled the city after Communist agents arrested his father there in the 1930s. Menachem Mendel Schneerson Street was unveiled in Dnepropetrovsk Sunday by its chief rabbi, Shmuel Kaminezki, who is one of the Chabad movement’s most senior envoys to Ukraine. The change came amid a larger renaming policy implemented nationally, that had many street signs carrying the names of Soviet-era figures replaced with Ukrainian national heroes. “This is a very important event for the city and for the country in general,” Kaminezki said at the renaming ceremony, which concerned a street where a Jewish school is located. “I want to note that it is not the Jewish community that initiated this name change, the proposal to name a street after the Rebbe was received from the Ukrainians, who know the history of their city and its country and are proud of it,” he was quoted as saying in a statement published on the community’s website. Dnepropetrovsk, which is one Ukraine’s most important Jewish hubs and has a Jewish community of 50,000, already has a Sholeim Aleichem Street, where the community owns a giant, 22-story menorah-shaped complex that was opened in 2012 and cost $100 million to build.